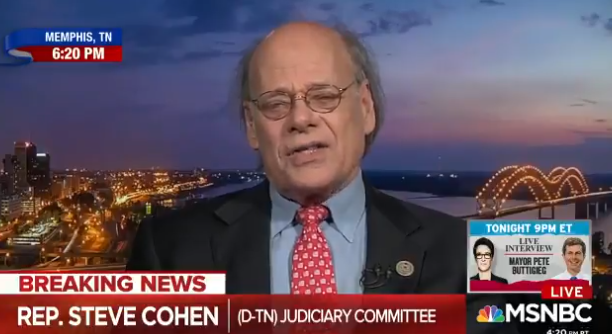 Democratic Congressional member Steve Cohen is known for running his mouth and not being able to back up the rhetoric he spews. Monday he took to MSNBC and went lower than low as he compared the Trump Presidency to the Notre Dame Cathedral Fire. Congressman Cohen has most of my team blocked, and that’s no surprise. He’s a big mouthed pansy who refuses to take responsibility for his words or actions. This is just another example of the hypocrisy and sickness that is liberals in America.